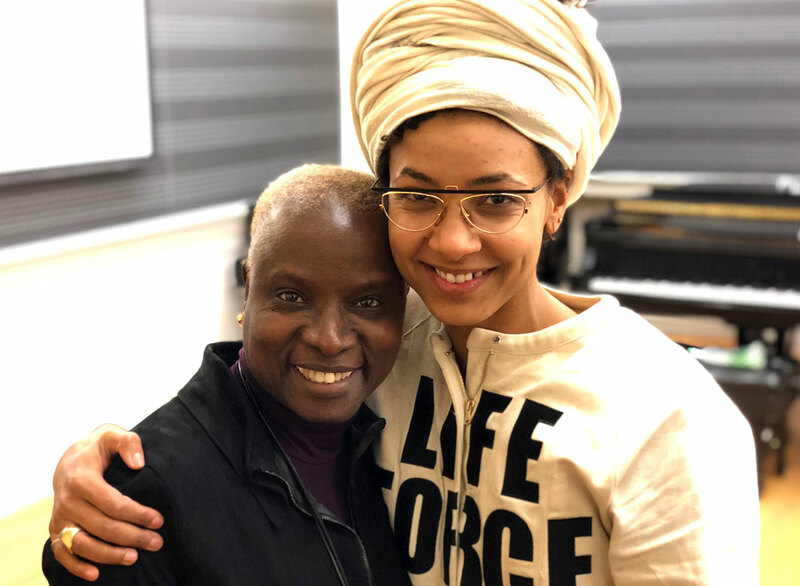 Angélique Kidjo, the three time Grammy Award winner and singer / songwriter / activist who combines “village traditions,” “cosmopolitan transformations” and “female solidarity” (The New York Times), has been named the 2018 Harvard University Jazz Master. Angélique Kidjo, the three time Grammy Award winner and singer/songwriter/activist who combines “village traditions,” “cosmopolitan transformations” and “female solidarity” (The New York Times), has been named the 2018 Harvard University Jazz Master. 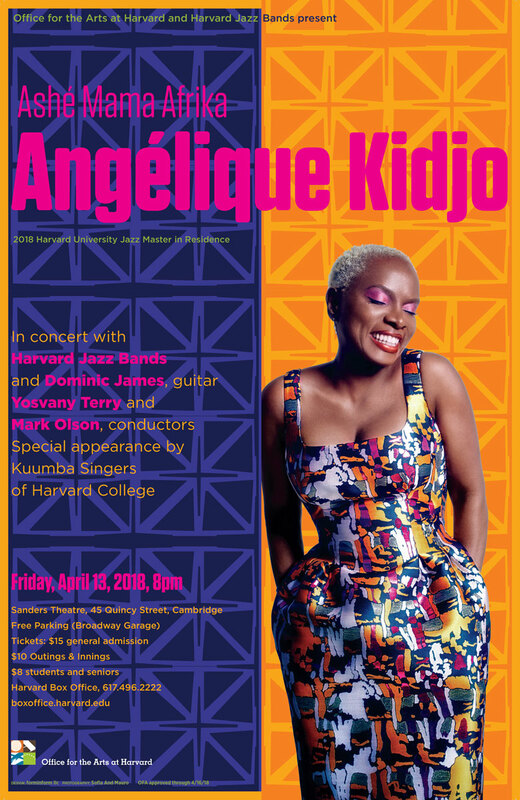 She performed for her "Ashé Mama Afrika" concert curated by Yosvany Terry with the Harvard Jazz Bands on Friday, April 13 at the Sanders Theatre in Cambridge. The concert was sponsored by the Office for the Arts at Harvard and Harvard Jazz Bands (Yosvany Terry and Mark Olson, conductors). In addition to the public concert on April 13, Kidjo was in residence April 9-14 to rehearse and perform with the Jazz Bands, visit Harvard classes, including a lecture for Esperanza Spalding's class on "Music and Advocacy”, talk with local public school students and a conference titled "Where the Girls Are: Arts activism around the globe" at Lowell Lecture Hall with Ifeoma Fafunwa and Mary I. Bunting.